At the time I composed this post, the United States had been at war for almost eight years. Eight years with more than 100,000 men and women deployed at any given time. The number of spouses, significant others and family members left behind is staggering. While our soldiers are in Afghanistan and Iraq, fighting for what they beleive will better the world, their families also sacrifice. They sacrifice time with loved ones, they live with worry and fear of that phone call that will shatter their world, they live with the possibility that their soldier will not be the same person he/she was when they left. But we rarely ever have an opportunity to hear the stories of the families who stay home, tend to domestic matters and provide what little support they are able to offer their soldier. 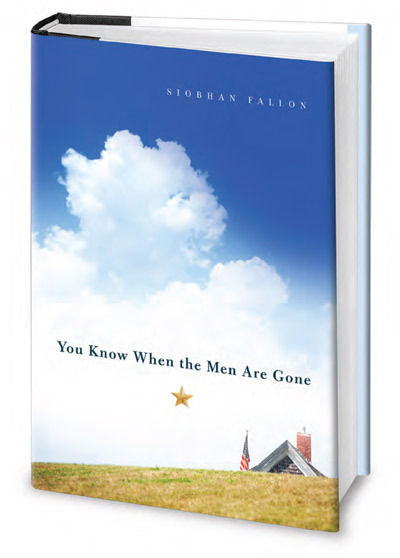 Siobhan Fallon’s collection of short stories offers a glimpse into this world often neglected by a society so overborne with stories of war, of death and of IEDs that they don’t even imagine the suffering, so seemingly trivial in comparison to the service of a soldier, experienced by the spouses. Fallon has every qualification to pen a collection of army wife stories as an wife who spent three deployments living at Fort Hood while her husband fought abroad. Each story is carefully designed to offer a different dynamic while remaining focussed on the relationship between a man and his wife. Whether the experience is one of jealousy, heartbreak, devotion, loss or frustration, each story revolves around one family’s struggles to survive domestic life after or during the husband’s period of active duty. Fallon does not adhere to the female perspective. Some of her stories dive into the soldier’s mind and offer glimpses of his deployed experience as well as his mental struggles and pain in returning to domestic life. These moments feel clear and unforced, Fallon’s character depictions are tangible and moving. The stories feel honest and plausible; these stories bring an outside reader into the domestic world of military service that is ignored in the headlines. The only gripe I have about these stories are the endings. Every story, excepting the last, ends without an ending. Fallon builds tension, she brings characters to life and she leaves the audience hanging on the last page. Some of these stories were beyond frustrating because of the loose ends. The emotional arch necessary to give the reader a sense of understanding, conclusion or fulfillment never comes to fruition. It’s like taking your partner on a date to the movies and walking out ten minutes before the show’s over.